This page includes demos, patches and other downloads for Tomb Raider 2. Some of the files are hosted on this site. Others are hosted elsewhere, as indicated. Before downloading, please read the important warning below. IMPORTANT: Tombraiders.net does not support any of these files and is not responsible for anything that happens to your computer as a result of downloading or installing them. I try to make every effort to ensue that all of the linked files are safe and functional, but I cannot guarantee they'll work on all systems. I recommend taking proper precautions with any downloaded file, including downloading from reputable sites, scanning with an anti-virus/spyware program, following installation instructions, and backing up your existing files before installing anything new. Tomb Raider 3 was designed to run in the Windows 95/98/Me operating systems. The CD version of the full game can be patched to run without any problems in newer versions of Windows (see below). The GOG and Steam downloads are fully compatible with Windows XP/Vista/7 and require no patching. 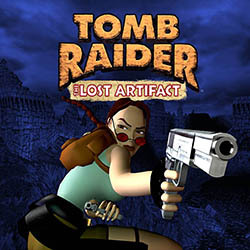 Unlike Tomb Raiders 1 and 2, which were followed up by free downloadable bonus levels, Tomb Raider 3 has a short, stand-alone sequel: The Lost Artifact. There is a demo for the first level, but if you want to play all six levels, you'll need to buy the game, which is only available on CD for PC and Macintosh. So far it has not come to Steam, GOG, etc. PC Demo: Highland Fling Level (14.3 MB) (walkthrough) - This demo works on Windows 95/98/Me and XP. For Windows XP, you will need to set the compatibility mode on the installer and demo programs for Windows 98/Me, as described here. TR3 and The Lost Artifact were designed to run under Windows 95/98/Me. So they will need a little tweaking to run smoothly on a computer with a newer version of Windows. The best and easiest fix is to first install the game as usual. Then download and run the appropriate Tomb Raider Multi Patch for Windows XP/Vista/7/8/10. These are part of the excellent tech support section at tombraiderchronicles.com. The GOG and Steam games are specificially designed for newer Windows systems, so you will not need the multi patch. If you receive a "DirectX setup failure" error while attempting to install the game or the installation program freezes without installing the game, try restarting your computer in Safe Mode (tap F8 during startup). Then install the game while in Safe Mode and restart the system normally. You should then be able to run the multi-patch for your Windows version without any difficulty. To run Tomb Raider 3 on a widescreen monitor without distortion, see patches, below. See this page for help Installing The Lost Artifact on Windows 10 PCs. If you're looking for help running any of the classic Core Design Tomb Raider games on a modern Mac system, I highly recommend MacRaider. This site includes a wealth of general information on the games, as well as a detailed section on backward compatibility. It includes info on PowerPC, Mac OS9, MacIntel, Mac OSX and various methods of running Windows games on Mac systems. TR3 was designed for standard (4:3) aspect ratio monitors and TVs. This unofficial patch allows you to run Tomb Raider 2, 3 and 4 in three different aspect ratios: 16:9, 16:10 or 5:4 without the usual distortion. It works on the CD installation, as well as the GOG and Steam games. See here for comparison screenshots and dowload links. Mr. Sardoc's Ultimate Tomb Raider 3 and Lost Artefact Patch - Includes numerous bug and texture fixes, as well as an option to remove the green health crystals. (Hurrah!) Follow the link above for downloads and complete list of fixes. Dege's dgVoodoo Patch - Follow this link for the latest download and instructions. 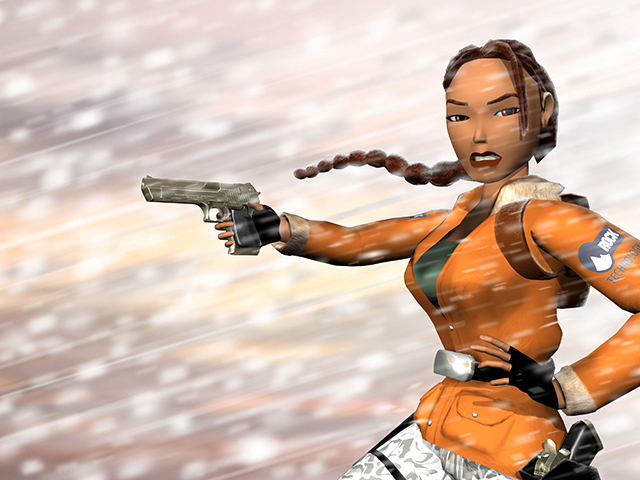 Visit Core-Design.com for the latest community-made updates for Tomb Raider 3. The Kins also has some great tips on running the classic games on newer systems. Visit tombraiderchronicles.com for the Windows XP/Vista/7/8/10 multi patch, an essential update when installing the original game from CD. In order to use a gamepad, you'll need a utility to map gamepad buttons to keyboard inputs. I still use a keyboard for the classic games, so I can't recommend any particular software, but here are just a few: DS4Windows (for Dualshock 4), InputMapper, Pinnacle Game Profiler, and XPadder. If you are unable to see the video sequences at the start of the game and between certain levels, or if you just want to watch them again, you may want to download EscapePlay (765 KB) to watch the movies outside the game. The 'readme' file included with the download explains how to use it. Alternatively, you can watch all the cinematics on YouTube (thanks to GoldfishGam3r). Accidentally pressing the Windows (Start Menu) key probably won't crash the TR3 game, but it can be annoying, especially during complicated platforming sequences. Fortunately it can be easily prevented by downloading and using one of the following utilities. I have found both very helpful, but since neither is my creation, I am not responsible for them. So use and enjoy it at your own risk. For Windows 95/98/Me - Try WinKey Killer utility created by Brad Jackson. Instructions are included in the 'readme' text file accompanying the download. For Windows XP/Vista/7 - Try WKeyDisabler by ShoXDK. Link is to the WKey Disabler page on Codeplex.com, where you will also find instructions for using it. 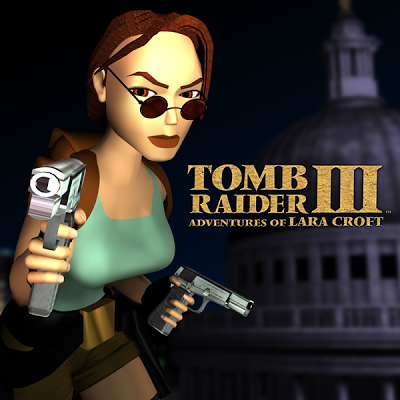 The patch below is for the original CD version of TR3. If you are using one of the Tomb Raider Multi Patches for Windows XP/Vista/7/8/10 (described above) or have downloaded the GOG or Steam version of the game, you will not need any of these. For additional help with technical issues, please visit the Square Enix Tomb Raider 1-6 Technical Forum or Tombraiderforums.com, which also has a section on modding. Flight patch for TR2, 3 & 4 (5 KB) - This unofficial patch enables cheat keys for flying. I've used this patch with no problems, but I didn't make it and don't support it. So use at your own risk. I prefer the use of savegame editors to game "trainers," but if you really want one, they are out there. Use Google to search for keywords like "tomb raider trainer." Just be sure to virus-scan any files you download. There's a lot of nasty code out there. Tomb Raider 3 savegame files are on a separate page. Savegame & Position Editors are fairly easy to use and make for more "realistic" cheating. Instead of making Lara invincible, you can add just a few medi-packs or flares, a particular weapon or some ammo, a key you missed, or just a little extra air when Lara needs it. 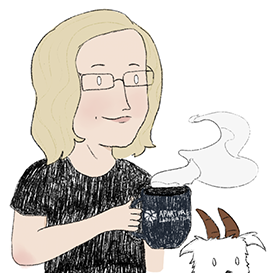 The position editor lets you reposition her anywhere in a level, for fun or to avoid danger. The Music of Tomb Raider has collected the definitive soundracks for all the games. Visit their Community Discography page for details and downloads.